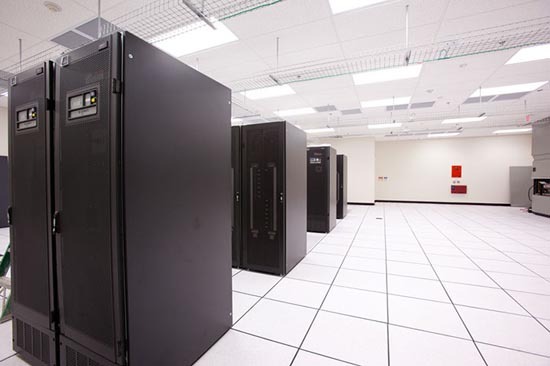 Data centers utilize a lot of equipment that also uses a lot of energy. The amount of energy used emits a lot of heat. If overheating occurs, it can cause a lot of problems including potential fire hazards and the possibility that equipment could become overheated and fail. Data centers cannot afford to have the downtime that these problems would cause. That is why sufficient cooling is needed in any data center. It is crucial that, not only is the area cooled but, that heat is actually removed from the space. Every data center is different and has it’s own unique cooling needs. Meeting a data center’s cooling needs should be a top priority. A great place to begin is with the hot aisle/cold aisle technique. It is a simple yet practical and efficient way to contain hot air and use row-based cooling. By preventing the mixture of hot air and cold air you can focus your cooling where it is most needed. Using this technique provides you the ability to effectively cool your data center while reducing your overall energy consumption and also will save money on your energy bills. Next, a great way to sufficiently cool your data center is with rack based cooling. You can ensure that the cooling is delivered directly to the rack, keeping it, and it’s components, at an optimal temperature. Another type of cooling used in data centers is called CRAC (computer room air conditioners). They are very commonly used in data centers. These nits monitor the data center’s temperature, air and humidity. They work differently than traditional air conditioners because they cool but also remove energy from the air and redistribute it to an outdoor space. In addition, something that has been used for a long time is a raised floor. Some debate the merit of raised floors now with new technologies available. Raised floors allow cool air to flow under the floor and into the server area through specially designed perforated tiles. An alternative to raised floors is a slab floor. With a slab floor air conditioning systems are installed above racks and forced down towards the floor. There has been much debate within the data center industry as to which technique is better. The issue is a complicated one and one that should be decided on an individual basis, based on the needs of each unique data center. There are, of course, more specific things to consider for cooling a data center such as glycol-cooled chillers vs. air-cooled chillers and more. If you begin with these basics of data center cooling you will have the perfect jumping off point for your data center. A professional data center designed can guide you in the right direction based on your data center’s individual needs. Proper cooling of your data center is crucial to the efficient functioning of your equipment. It will help your equipment last longer and function efficiently. This entry was posted in data center cooling, Data Center Design, Titan Power and tagged Cooling System, Data Center, Data Center Construction, data center design, Titan Power. Bookmark the permalink.